When it's freezing outside, like it is now, I often rely on big comfy sweaters. 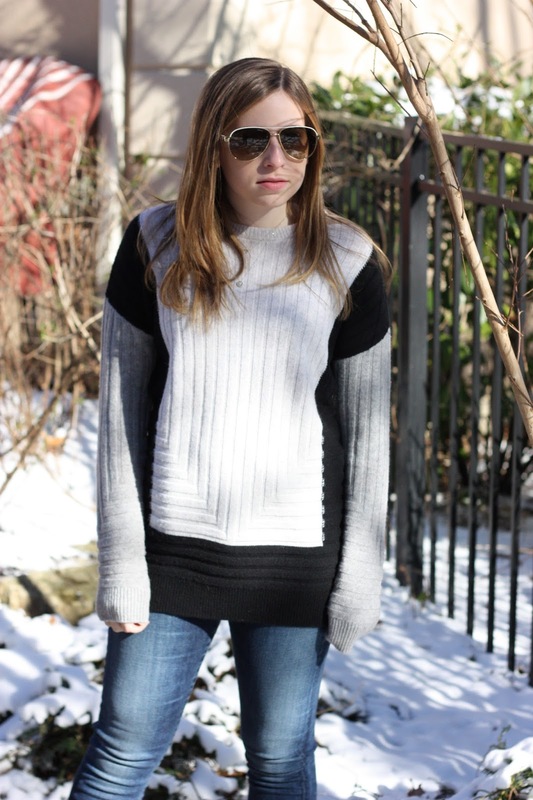 I not only love the look of an oversized sweater, but they help keep you warm too, so it's really a win-win. And a look like this can easily be dressed up with the right pair of shoes. 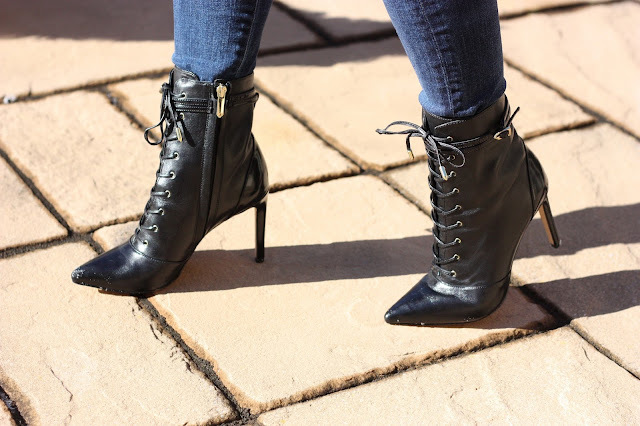 I love this lace-up pair of boots because they instantly upgrade any outfit, and they look much more expensive than they were (another win-win).